The process of bringing criminal charges involves more than an arrest and jail. There are important “pleadings,” including a Bill of Indictment that deserve careful review. In part, that’s because there are protections afforded to all of us under the U.S. Constitution, the Constitution of North Carolina, as well as pursuant to Chapter 15A, the North Carolina Criminal Procedure Act. Those formal legal processes are intended to ensure Due Process and Equal Protection of Laws, where everyone is treated the same under the law, irrespective of wealth or social status, age, race, or other unique traits. What is an Indictment? What Does Indicted Mean? 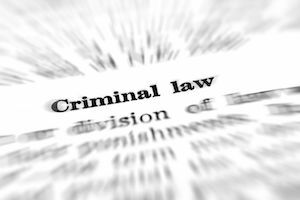 Even people experienced with the criminal justice system may not understand the technical aspects of criminal process and the associated compliance with the 6th Amendment of the US Constitution as applied to North Carolina under the 14th Amendment. One such protection is the 6th Amendment Right to a fair trial, ensuring anyone accused of violations of the criminal laws of North Carolina has a legal right to prepare for trial. What is a Bill of Indictment? What is a True Bill? What is a Bill of Information? An easy way to think about it is this: Indictments provide the accused important basic information about the criminal charges. They are intended to give Defendants the opportunity to prepare a defense and respond. Indictments in North Carolina answer the questions “Who, What, When, Where, and How.” That means legal “pleadings” include the name of the Defendant and alleged victim, where the alleged offense to place (jurisdiction), the date of the offense or offenses, and what specific criminal law or criminal laws under Chapter 14 apply. When is an Indictment Required in North Carolina? You may have heard the legal term, “No warrant shall issue without Probable Cause.” That is a legal protection afforded under the 4th Amendment of the Constitution. Under North Carolina criminal law, another protection is a Bill of Indictment. Indictments are required in felony and misdemeanor cases initiated in Superior Court. Defense lawyers occasionally agree to voluntarily “waive” the formal indictment process, normally to expedite the process, thereby allowing for a Bill of Information without the need to convene a Grand Jury. Per Chapter 15A, the North Carolina Criminal Procedure Act, a simple presentment to a Grand Jury does not constitute a formal Bill of Indictment. Indictments are required to contain a plain, simple explanation of the criminal charges, including some level of specificity in setting forth what Common Law Offenses and statutory violations are alleged to have occurred. Under N.C.G.S. 15A-923 a Bill of Indictment is not allowed to be amended. Courts cannot allow a State’s Motion to Amend Indictment, if such amendment substantially alters the crimes charged. The Defendant may consent to amendments to both a Bill of Indictment and Bill of Information. Technical problems with indictments may withstand judicial scrutiny. 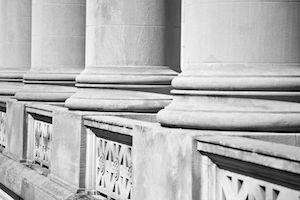 The North Carolina Court of Appeals in October 2018 provided some clarity on what is required in an Indictment in North Carolina v. Hill. Bills of Indictment are not necessarily “fatally flawed” if there are grammatical issues or minor errors in form. In reviewing an indictment for errors, our appellate courts consider the indictment as a whole. Such reviews are handled De Novo, which means “anew” or “from the beginning” in Latin. There is no Abuse of Discretion review of such legal matters. That means the Court of Appeals and NC Supreme Court may decide, on their own, an Indictment fails to comport with statutory or constitutional law. It’s not left in the discretion of the trial judge. Indictments are meant to be plainly and simply worded, such that a person of “ordinary understanding” would be able to tell what was intended. Indictments set forth the essential elements of the crime and what allegedly took place. Defense attorney John Fanney is a North Carolina Board Certified Criminal Law Specialist in Criminal Law. With more than 25+ years of experience, he’s available for legal representation in serious felony and misdemeanor charges in Raleigh NC and the surrounding judicial districts, including Johnston County (Smithfield), and Goldsboro, North Carolina. Call now to schedule a free consultation.